LONDON (AP)--One summer evening in 2002, six bankers celebrated a business deal with dinner at a London restaurant. 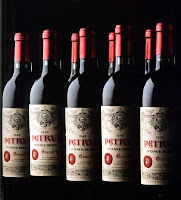 Several hours and three bottles of Chateau Petrus later, they had run up a bill of more than GBP44,000 (US$92,000) - according to Guinness World Records, the most expensive meal per capita ever. It is unlikely that they are still celebrating. Five of the diners - employees of Barclays Capital, the investment banking division of Barclays PLC (BCS) - have reportedly lost their jobs, and the sixth is keeping a low profile. The Petrus restaurant (owned by one of the most famous chefs in the world, Gordon Ramsay) released details of the bill to the media after the extravagant meal last July. But on Tuesday night, staff at the lush, low-key dining room in London's St. James's district said politely but firmly that they were not allowed to speak to the media about this issue. According to the restaurant, the party spent GBP44,007 (US$92,000), most of it on wine, including a bottle of 1945 Chateau Petrus Bordeaux priced at GBP11,600 pounds (US$24,000); a GBP9,400 (US$20,000) bottle of the 1946 vintage; and a bottle of the 1947 Petrus at GBP12,300 (US$26,000). The dinner was rounded off with a dessert wine, a 1900 Chateau D'Yquem costing GBP9,200 pounds (US$19,000). The Michelin-starred restaurant, whose signature dishes include John Dory in mussel and tomato sauce and duck confit ravioli, did not even charge the party for the several hundred pounds worth of food it consumed. 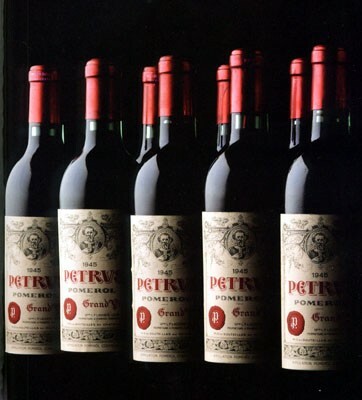 Customers come to Petrus, named for the Bordeaux vineyard that supplies much of its wine, to eat fine food - and, especially, to drink fine wine. Among the vintages being offered Tuesday on the 21-page wine list are a 1961 Petrus at GBP12,500 and a 1928 vintage at GBP11,600. Tom Forrest, a wine expert at London wine museum Vinopolis, said the bankers chose well. The combination of clay soil and careful tending makes Petrus wines among the most sought-after in the world, and the vintages from the mid-1940s are especially valued. "It is recognized as one of the great wines of the world," Forrest said. "And 1945 was a strong vintage in Bordeaux, partly because it was the Liberation vintage - it was a very good summer, and people were happy when they were making it." The restaurant's public relations firm, Sauce Communications, confirmed the cost of the Barclays Capital meal, but said Petrus had never revealed the diners' names. Four were named by British newspapers as Dayananda Kumar, Mahish Chandra and Iftikhar Hyder from Barclays' London office, and Ruth Cove from the bank's New York office. The names of the other two are not known. Newspapers reported this week that all but one of the diners had been fired by the bank over the last few months. Hyder - who had recently joined the bank at the time of the meal - reportedly was the only one to keep his job. Barclays Capital refused to comment, but a source at the company said the news reports were true. The Barclays London switchboard did not have Kumar listed in its directory. An employee who answered the phone at Chandra's extension said he no longer worked for the company. Hyder, who now works in the New York office, did not immediately return telephone calls from The Associated Press. The diners paid the bill with their own money. Press reports, which could not be confirmed, said some later tried to claim a portion of the meal as client expenses. On Monday, London's Evening Standard newspaper quoted Kumar as saying he had paid GBP9,000 of the tab, even though he had not drunk any of the wine. "To be honest, I'm not that bothered about it," Kumar was quoted as saying. "I've been on lots of expeditions since I left the bank. I went climbing on Everest, I've just come back from Kilimanjaro, and I'm off to the North Pole soon. It's no real problem." Many British banks have laid off staff members in recent months, but Barclays is one of the stronger performers. The bank, which employs about 78,000 people and has more than 2,000 branches in the U.K., this month announced pretax profits of GBP3.61 billion for 2001, up 9% from the previous year. Barclays said operating profits at its business banking arm rose 5% to GBP1.15 billion pounds, and that its work force grew by 2,400 in 2001. Some commentators, with a tinge of regret, saw the Petrus episode as a sign that the financial sector's high-spending days are over. "The biggest problem that has arisen from this is that nobody in the City (London's financial district) is prepared to eat in restaurants any more after big deals," the Evening Standard quoted Kumar as saying. "It's too risky."